If the holidays left you feeling like too many cookies and too much egg nog are taking their toll, remember we have a great path to walk right here at your township hall. It's safe, easy to walk, and you can take it at your own speed. As we write this, the temps are pretty brisk, but a good walk will warm you up! As a reminder, too, a company called Edge, working with a company called Pros Consulting will be asking for your input in the coming months as to what your vision is for a park and trail system in our township. Your trustees have hired them to do this project so please, when the time comes and you are asked to participate in the survey, we hope you'll take the time to share your thoughts. TRUSTEE QUESTION FOR TOWNSHIP RESIDENTS: Snow removal and the salting of Township streets during winter weather is an important responsibility, and one we take very seriously. Questions or comments on how your street has been maintained? Please contact Shawna at Berkshire.Shawna@gmail.com to have your comments addressed by the trustees. Not sure if you live on a State, County, or Township Road? 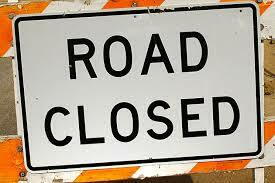 Click here to view a list of Township maintained roads. On December 5th, 2017, the Keep Delaware County Beautiful Coalition, led by the Delaware General Health District held its annual awards event at the Berkshire Township hall. Nine different awards were presented to Delaware residents, businesses and townships in recognition of their work to improve our community. Berkshire Township was honored and pleased to receive the Beautification Award for the work done to create the Berkshire Community Park. 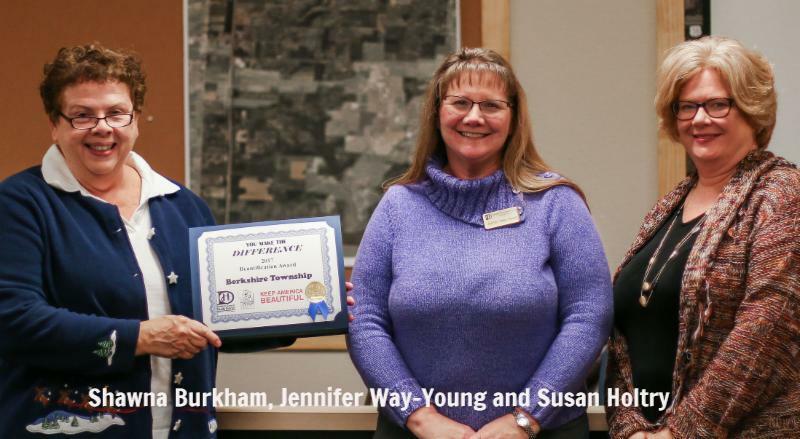 Susan Holtry and Shawna Burkham were on hand to accept the award which will soon hang in your township hall. "It took a village" - and the Trustees are grateful for every person, staff or volunteer who made the park a reality, and look forward to seeing it grow and improve. When visiting with dogs, please keep them leashed at all times. Please clean up after your dog. 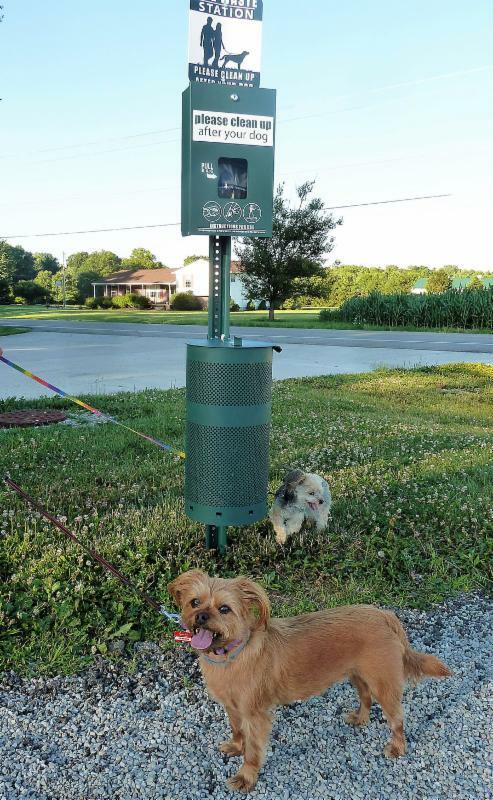 Doggie Waste-stations have been installed on the path around the perimeter of the park. Please do not put pet waste in the trash containers in the garden/pay area. Please refrain from smoking or using tobacco products in the garden and playground areas. Trash receptacles have been installed between the garden and play area to cut down on litter. Please be considerate and dispose of your trash. Do not put pet waste in these containers. When using the path around the property, watch for vehicles entering and leaving the parking lot. Please do not pick the flowers in the garden or allow your children or pets to play in the flower beds. We want to keep the area clean and pleasant for all to enjoy. If Christmas found your family with some new electronic items and a bunch of old ones that now need to be recycled, there is help. The Home Depot on Rt. 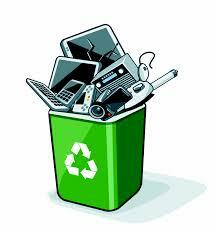 23 in Orange Township accepts electronic items for recycling. There is a container outside the store's main entrance. TV's are not accepted, but other small electronic items, including computers are. 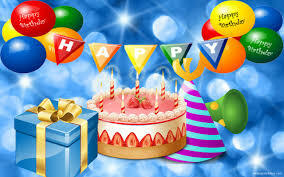 If you've been thinking of renting the Township Hall for a family gathering, meeting or party; heads up! We're currently accepting dates for 2018. If you're considering the space, please contact Shawna at Berkshire.Shawna@gmail.com to get your reservation in now. 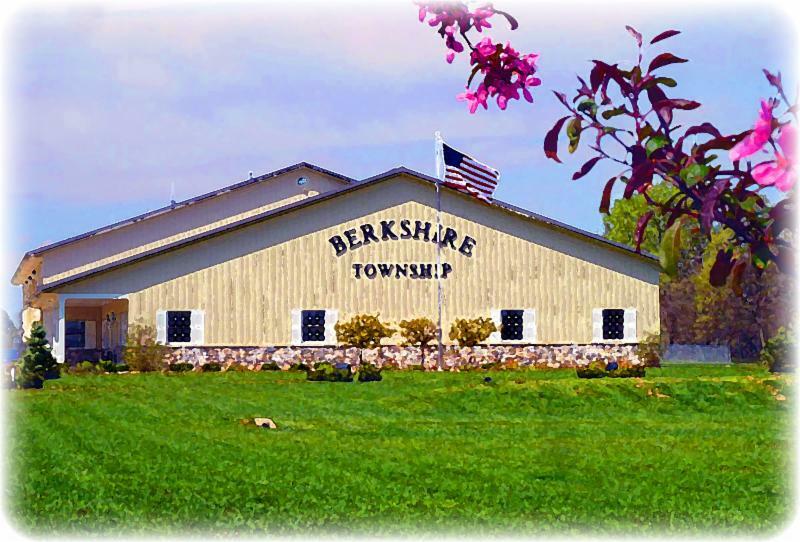 The hall is available for rental to Berkshire Township residents only. More info and photos are available on our website on the "Services and Maintenance" page. P.S. Speaking of roads, hats off to our maintenance staff who were out checking and salting the township roads on Christmas Eve night and Christmas day morning. They work hard all year long to keep us safe. Thanks, guys! you are on the Berkshire Township contract.